While some of us deal with our home’s waste water through grey water systems or other technologies, most of us “flush it and forget it.” Once that toilet flushes, or water otherwise runs down the drain, we expect that it’ll be taken care of through our municipal sewer system or our septic tank. We’re fortunate in that sense: in the developing world, waste water treatment largely doesn’t exist at the residential level, and many industrial operations also don’t give it much thought. 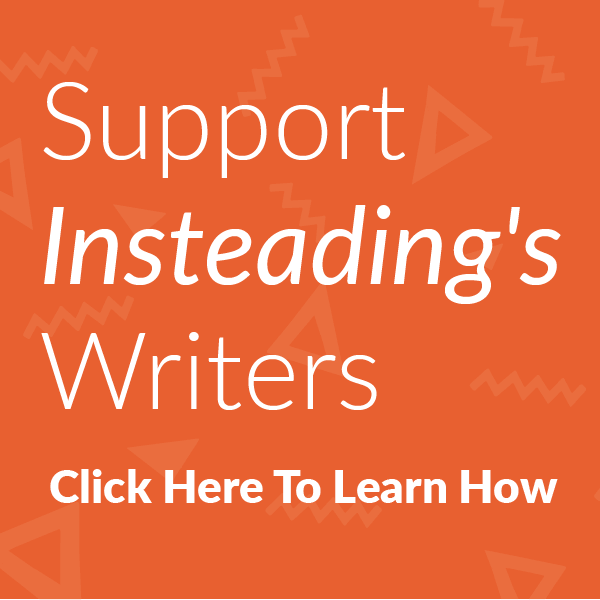 That means substances ranging from soaps, oils, and dyes, to agricultural fertilizers and pesticides, to heavy metals and industrial compounds, are all meeting up in the same water supplies that people and animals rely on for drinking. Needless to say, this is less than ideal. 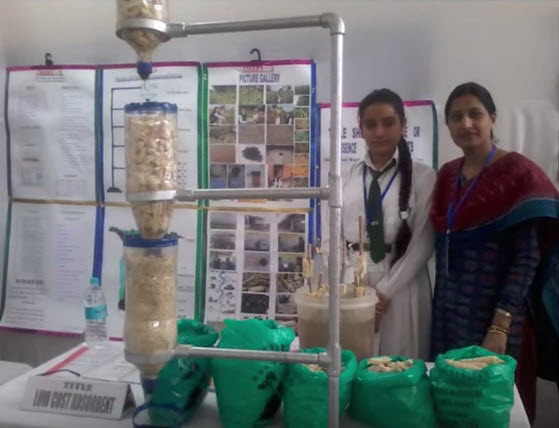 Thirteen-year-old Lalita Praside Sripada Srisai, who’s spent her whole life in agricultural region of India, has not only seen the water pollution, but came up with an idea for dealing with it involving another waste stream: corn cobs. She tested her idea, and then submitted her findings to this year’s Google Science Fair. An artificial tank was designed in a plastic tub with the capacity of 20 [liters] having pond water and soil as bottom floor. Corn cobs were tied on bamboo sticks which in turn were buried in the floor of the pond, so that the cobs were immersed. The ser up was allowed to stand for two weeks to study the rate of adsorption by corncobs. Her concept works: Spendlove notes that quantities of pollutants ranging from detergents to gasoline to salts and heavy metals were all absorbed at various levels of the filter. The project didn’t provide percentages of materials removed, but Lalita has demonstrated that corn cobs are good for more than just burning as fuel (their main use right now). Lalita’s project won the Community Impact Award at the science fair, and she’ll receive $10,000 in funding for her project, plus mentoring from the prize’s sponsor, Scientific American. I can’t wait to see how this project develops… If you’re interested in more details, they’re all laid out on the project’s page.